Insiders in the beauty industry are taking notice of Kybella®, one of the fastest growing fat-reduction treatments around. In fact, Kybella is projected to be a top treatment across the nation for 2017. This is no surprise to us, because this fat-busting treatment is already a favorite at Skin Care Institute! Kybella in Tulsa is a hit because of its remarkable ability to reduce fat cells under the chin. Known commonly as a “double chin,” this area can be notoriously stubborn, resisting diet and exercise. FDA-approved Kybella is a great alternative to surgery, and here at Skin Care Institute, we have the expertise and experience to help you banish your chin’s twin! Kybella is made with deoxycholic acid, a naturally-occurring molecule in the body that helps break down fat cells. Once injected, Kybella gets to work destroying the fat cells responsible for your double chin. The best news about this treatment is that once a fat cell is destroyed, it can’t store fat ever again. Optimal results have been noted in as little as two months following our recommended series of two to four treatments. 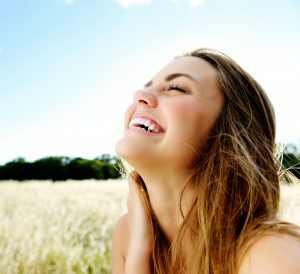 It’s easy to slim away your double chin, thanks to Kybella! If you’re ready for a younger-looking profile, call us at 918.948.9639 today to schedule your consultation.